The design for this Award Winning* Trade Show Booth used a versatile modular system made from brushed stainless steel clad over a lightweight wood frame system. 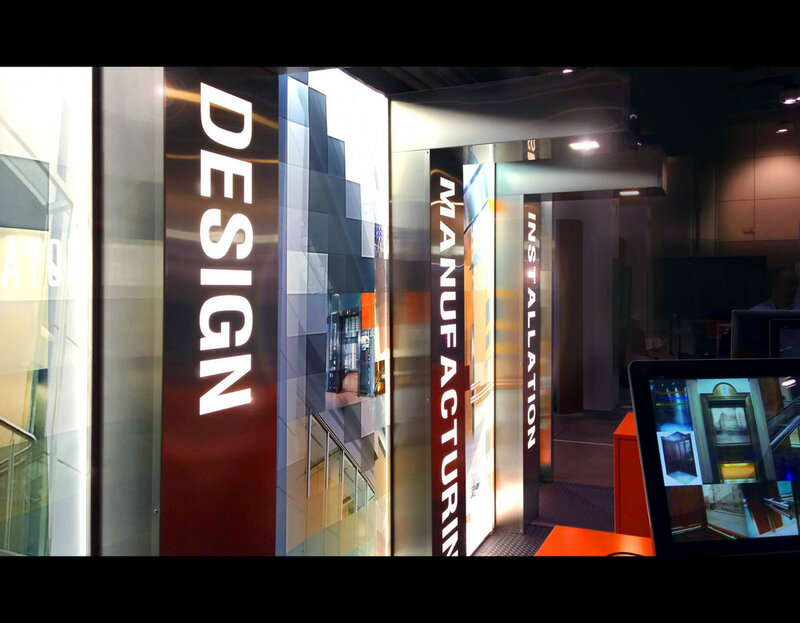 Illuminated columns reach out over near seamless presentation tables complete with digital touch screen displays customized for the exhibiting company. Easily reconfigured and expanded to see the needs of any space, the graphics are magnetically attached allowing for limitless customization. In order to limit the competition and attract potential customers and investors this booth went above and beyond the typical pop-up displays drawing attention to this exhibiting companies booth and away from the competitors that are blending in with the rest of the room.